The band’s lost album, recorded in 1996 to be their second cd, but never released. Some of the best italian stuff ever. Amazing modern hc, dynamic and melodic with DC influences. 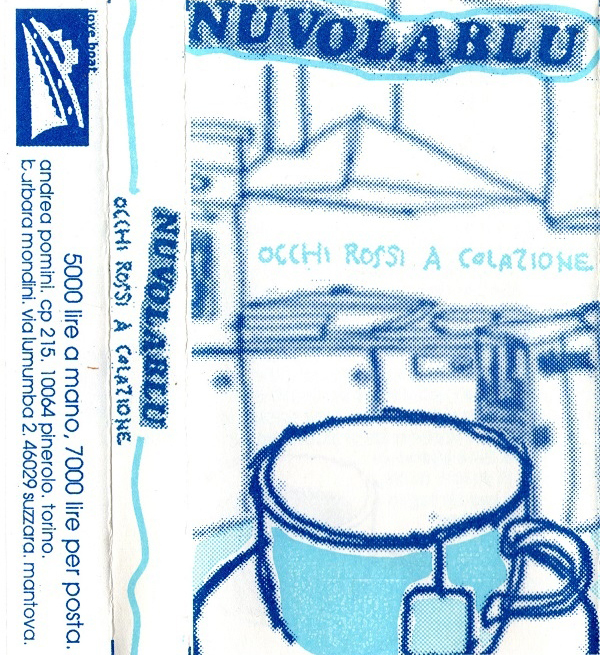 Other Nuvolablu releases include a 7″ (Legati alla Realtà), a full length cd (Vivere la Luna), a split 7″ with Tempo Zero and a split 7″ with Sensounico. Members are not involved in music anymore. Marco joined Molto Rumore Per Nulla for a while, but now dedicates his entire time to El Fornel, his delicious La Mugnaia restaurant in Ivrea.